Yes Virginia…there’s TWO Fabulous Christmas Trees in NYC! 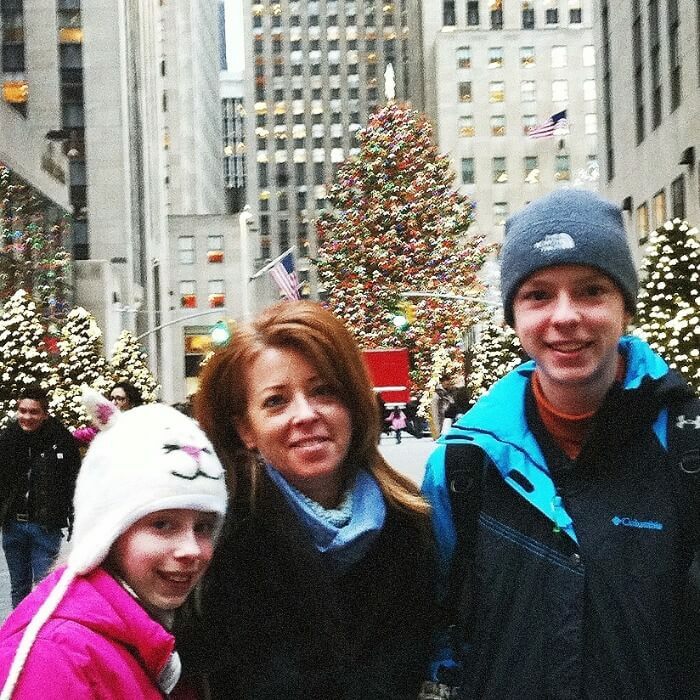 In a recent post, I shared with you the first time I introduced my kids to the wonder that is NYC at Christmas. 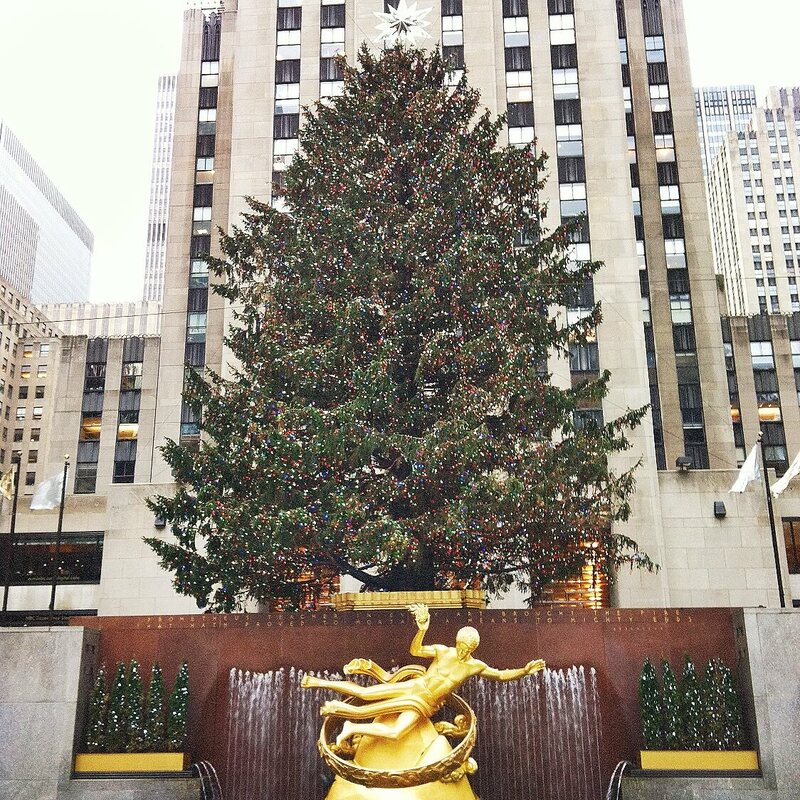 Of course, a must-do activity is a trip to Rockefellar Center to ice skate, and gawk at the amazing Christmas Tree. Despite the ubiquitous crowds, I never miss the opportunity to take part in this iconic traditional New York experience. But y’all…..there’s another Christmas Tree that is a must-see. 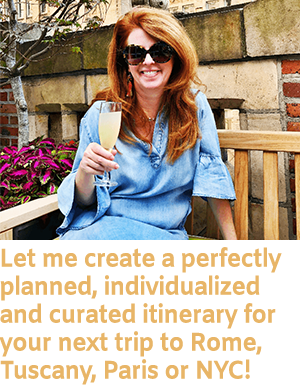 The Metropolitan Museum of Art is a fabulous treasure, bursting with everything from Egyptian mummies, to Rodin sculptures. 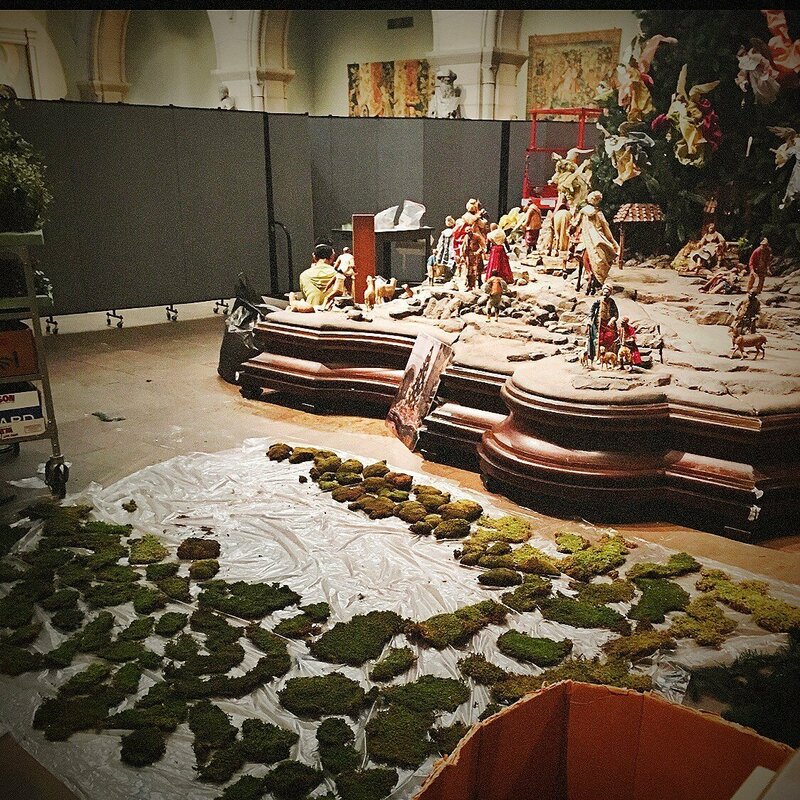 But during the Holidays, in the Medieval wing, a breathtaking Christmas Tree is assembled. 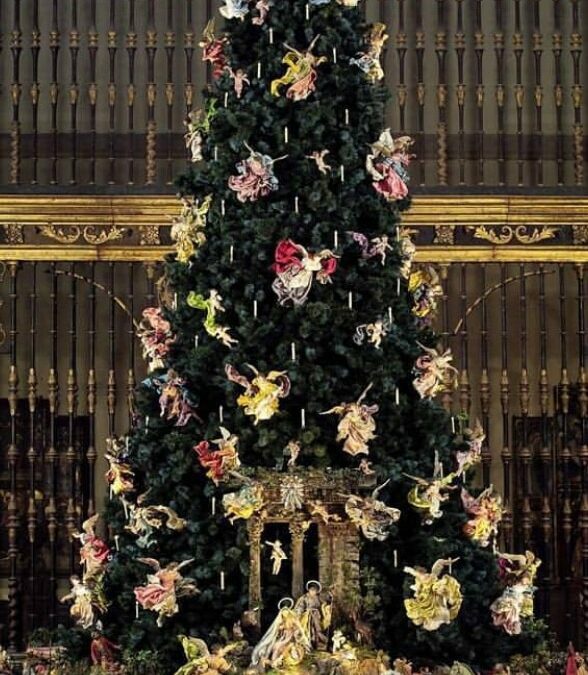 According to the MET, “this glorious Christmas Tree continues a longstanding holiday tradition, a favorite of New Yorkers and visitors from around the world. A vivid eighteenth-century Neapolitan Nativity scene—embellished with a profuse array of diminutive, lifelike attendant figures and silk-robed angels hovering above—adorns the candlelit spruce. The annual Christmas display is the result of the generosity, enthusiasm, and dedication of the late Loretta Hines Howard, who began collecting crèche figures in 1925 and soon after conceived the idea of combining the Roman Catholic custom of elaborate Nativity scenes with the tradition of decorated Christmas trees that had developed among the largely Protestant people of northern Europe. This unusual combination first was presented to the public in 1957, when the Metropolitan Museum initially exhibited Mrs. Howard’s collection. 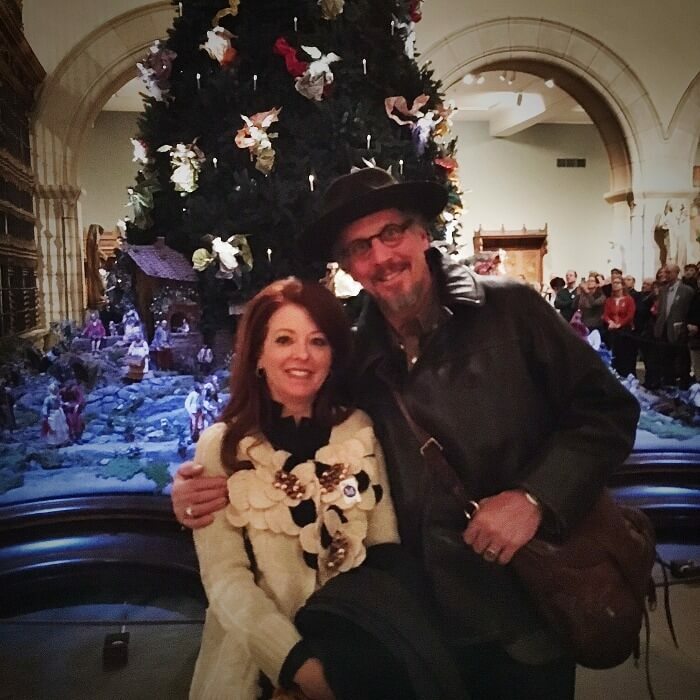 More than two hundred eighteenth-century Neapolitan crèche figures were given to the Museum by Loretta Hines Howard starting in 1964, and they have been displayed each holiday season for nearly forty years. The room is dimly lit, and there’s beautiful Christmas Carols softly playing, creating an atmosphere of calm and serenity that is really hard to find during Christmas. Even if you only have 30 minutes to spare, make a trip to the Upper East Side to see this Christmas Tree…I guarantee you will be so glad you did!!!! One of my favorite spots to eat lunch is just around the corner from the MET. E.A.T. is on Madison Ave. between 80th and 81st. The food there is DELISH, and the cellophane wrapped bags of mini-cookies are fantastic! Directly next door is a super fun store called E.A.T. Gifts. Chalk-full of quirky, fun, and seasonal items, I always find something I can’t live without! When I have time, I love to walk south on Madison Avenue, all the way to The Plaza. There’s wonderful shops, great little coffee spots, and the architecture of the homes on the Upper East Side is endlessly fascinating to me. It’s about 20 “short” blocks, but hey….with a bag of cookies in hand from E.A.T., I’m sustained for the journey! 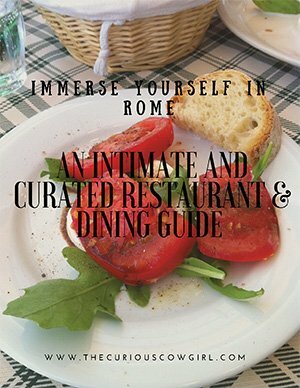 And, for a complete list of all my favorite restaurants in NYC, my NYC Restaurant Guide is only $10, and has over 30 restaurant suggestions, organized by part of town, and includes phone numbers, and information about those that participate on Open Table. Worth every penny y’all!!!! 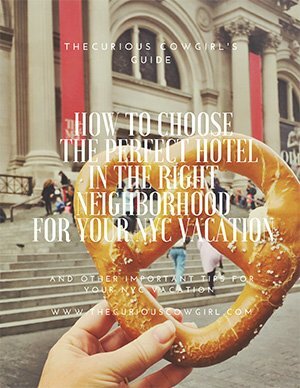 For other tips on visiting NYC at Christmas, check out this post! 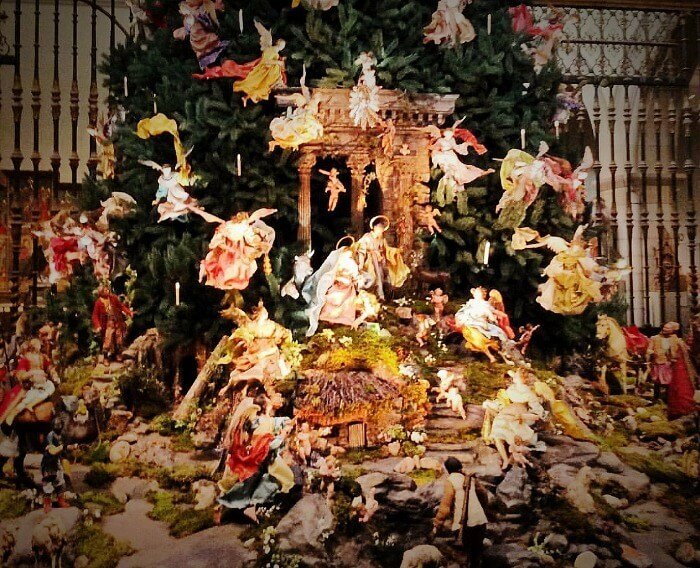 The Met Christmas Tree is a must see. And I agree 100% about the cookies at E.A.T.